Macau is home to a number of magical restaurants. Whatever cuisine you’re looking for is covered by an array of high-end and innovative eateries across the SAR. However, when it comes to Michelin-starred contemporary French dining, The Tasting Room is surely one of the best. 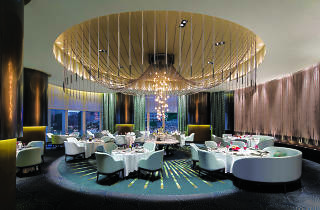 The beautiful restaurant on the third floor of the City of Dreams entertainment resort’s Crown Towers is a shining beacon of award-winning culinary delights. Perhaps the greatest accolade this restaurant has won was awarded this year in the Michelin Guide Hong Kong and Macau 2016. The Tasting Room was elevated to two stars after enjoying a one-star status for three consecutive years between 2013 and 2015. Plus, it was also awarded the Forbes Travel Guide Five-Star Award in 2014 and 2015, as well as a host of other prizes from leading publications. And it’s all down to executive chef Guillaume Galliot and his highly skilled team. The Tasting Room presents an array of exquisite and contemporary regional French cuisines prepared by Galliot and his chefs. He meticulously and artistically creates his delicious delicacies and his dishes are guaranteed to titillate the senses while his palate matches perfect flavour combinations using the season’s most quality ingredients from around the world. Basically, the cooking methods used at The Tasting Room beautifully preserve and accentuate the culinary offerings’ natural flavours. There’s a fab collection of contemporary French dishes on the menu at The Tasting Room. The signature dishes include chef Galliot’s contemporary onion soup, as well as the special abalone carbonara and the deliciously sweet chocolate banana mille-feuille. A holistic taste experience can also be found in the tasting lounge. Indulge in freshly shucked seasonal oysters, a bespoke selection of cold cuts and cheeses, and tempting mono cru chocolates and pralines. There’s also a sumptuous selection of fine Mons cheeses to try. In addition to the creative menu, The Tasting Room the restaurant offers a choice of dining atmospheres to enhance your gastronomic experience. 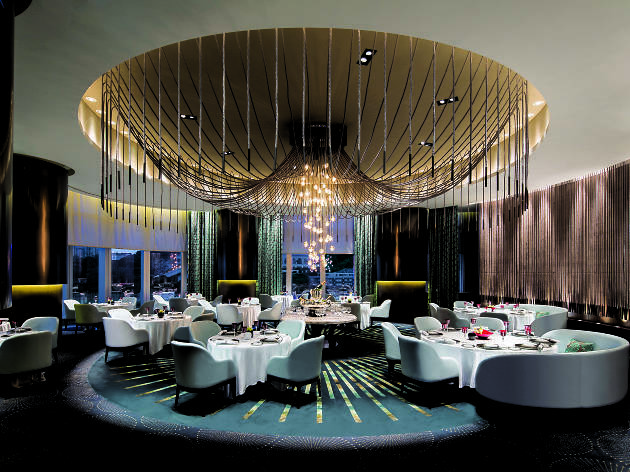 Guests can choose to savour the delectable selections in the private dining room or in the main dining area, both of which offer unrivalled views of Cotai. This is all elegant fine dining, with exquisite service, spectacular views and superb food. One of the highlights of The Tasting Room – and certainly one of the reasons this restaurant now boasts two Michelin stars – is the incredible selection of wines. There are some great cognacs and a varied selection of Belgian and Estonian bewers on the drinks menu – but many guests come here for the wine. The extensive wine cellar stocks a wide selection of premium and grand cru vintages, including bottles from Penfolds Grange, Chateau Mouton-Rothschild and Domaine de la Romanée-Conti. Some vintages are even more than 70 years old. Much of the success of the wine selection here is down to João Pires, the director of wines at City of Dreams, as well as at Altira Macau and Studio City Macau. The Portuguese-born expert is the only master sommelier from the Iberian Peninsula of Portugal and Spain, and he’s one of only 220 such maestros from around the globe. Pires has 20 years of solid experience in the global industry, having worked in some of the world’s most celebrated restaurants and hotels in Portugal, Canada and the UK. He is also a member of several important wine communities, including the Association Internationale des Maîtres Conseils en Gastronomie Française and the Confrerie de la Chaine des Rotisseurs. On top of this, he was named Sommelier of the Year in 1999 by top Portuguese wine magazine Revista de Vinhos alongside Portuguese and French ‘sommelier of the year’ awards over the years. Having trained at Michelin star-awarded restaurants in Paris such as Hôtel de Crillon, Alain Ducasse, La Tour d'Argent and Four Seasons Hotel George V, Pires is currently enrolled in the prestigious Master of Wine programme of the London-based Institute of Masters of Wine. So, there’s two Michelin stars at The Tasting Room. There’s also two food and drink stars in Guillaume Galliot and João Pires. There’s an experienced team of chefs and friendly waiters. There’s an incredible view. There’s wines to die for. And there’s some of the best contemporary French cuisine in Asia being served up to appreciative diners. Where are you going to eat in Macau when you want a taste of the good life? The Tasting Room. There’s nowhere else quite like it. Guillaume Galliot, executive chef at The Tasting Room A two Michelin-starred restaurant needs an executive chef who’s a star himself. Welcome to the world of Guillaume Galliot. and cooking methods, and his pedigree is proved by the array of incredible dishes which are served up at The Tasting Room. 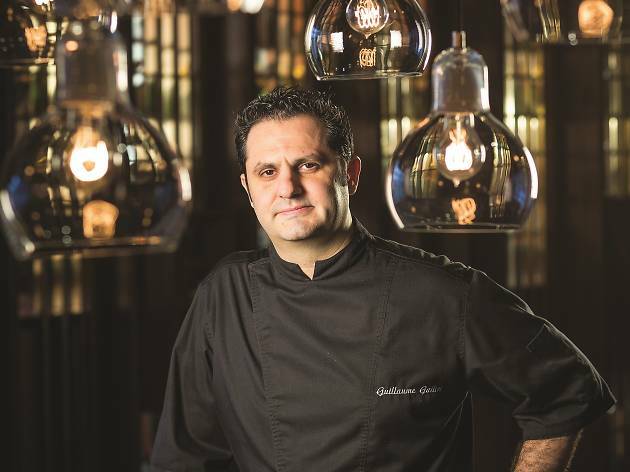 City of Dreams, chef Galliot was a consultant at the Pourcel Brothers restaurant in Marrakech, Morocco. approach that’s based on classical French techniques. His interpretation of the classic French onion soup, for example, complements the traditional onion confit based on beef stock with an intense sweet onion ice cream, combining modern tastes with classical methods. It’s a style he’s become known for mastering. There are only a handful of innovative French masters of cuisine in Asia. But chef Galliot is most certainly one of them. Taste his creations at The Tasting Room and experience the work of a culinary artist whose experience and talent is one of the reasons that this restaurant boasts two prestigious Michelin stars.